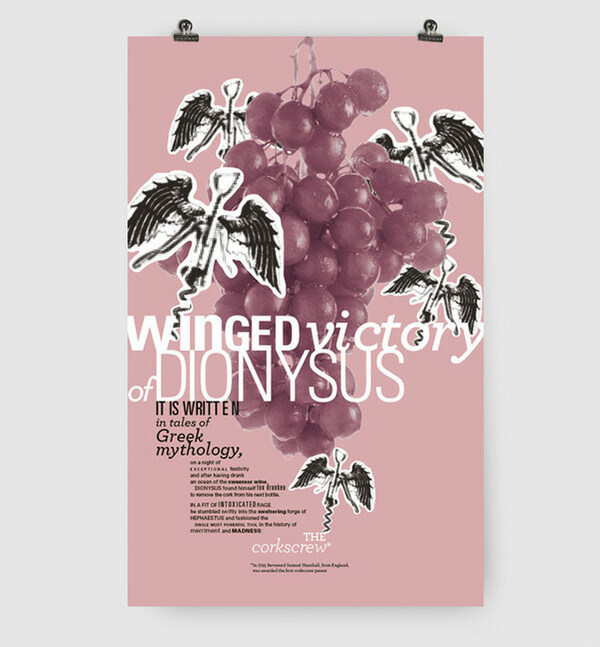 Integration of typography and image in a poster series about the wonderful winged corkscrew. The one thing these posters have in common is the subject: a winged corkscrew. 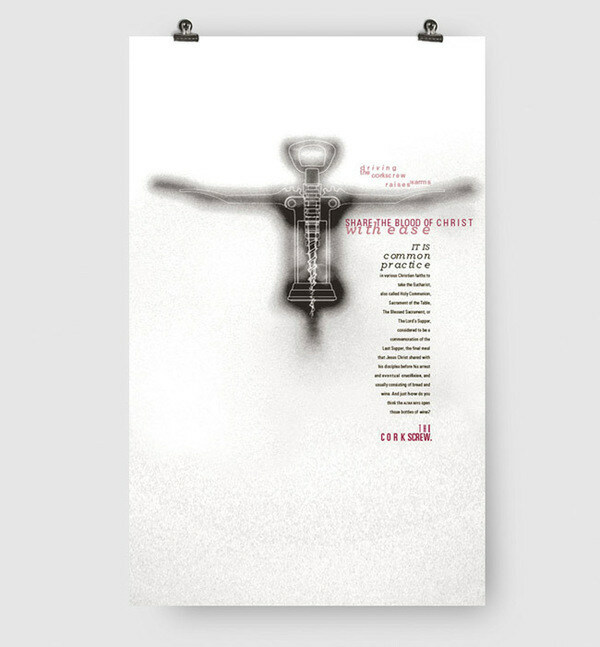 The aesthetic of each poster is informed by the content: the religious implications of the corkscrew's shape, the merriment that comes as a result of opening a bottle of wine, or the mechanical intricacies of the tool itself.